EIGHT Australians are taking their own life each day – a deeply disturbing statistic. The annual suicide rate climbed to more than 3000 deaths for the first time in 2015 – and unfortunately this bleak snapshot is compounded by a new survey finding that more than 80 per cent of Australians believe our society is becoming a lonelier place. Queensland has the highest rates of suicide in the nation and is one of the regions, including Western Australia, Tasmania and the ACT, where suicide rates are on the rise. Lifeline Australia’s chief executive officer Pete Shmigel described the suicide escalation as a national emergency that required “caring real-world relationships, as well as the need for whole communities to play a role”. “For a society that is more technologically connected than we have ever been, these results suggest we’re overlooking good old-fashioned care and compassion when it comes to our mental health and wellbeing,” Mr Shmigel said. “Of the 60 per cent of respondents who said they ‘often felt lonely’, a large cohort lived with a partner and or children. 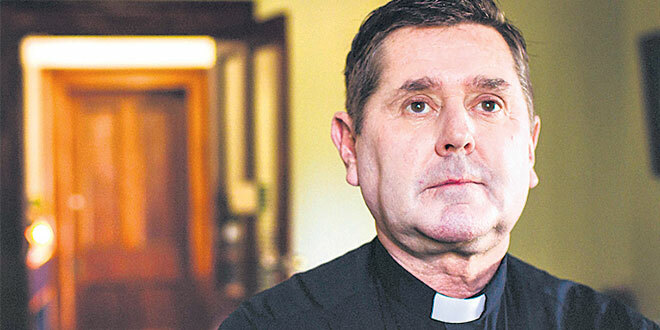 Youth Off The Streets founder Salesian Father Chris Riley (pictured) echoed the need for continuous care and support, and made the link between long-term mental illness and suicide. “The signs of mental health issues can be hard to detect or even deliberately hidden, therefore mental health awareness should be something we think about on a day-to-day basis,” he said. “October is Mental Health Month, and it is over this month that we put extra emphasis on understanding and recognising mental health issues. The latest suicide figures released by the Australian Bureau of Statistics on September 28 show that in the last ten years, rates have never been higher for men aged 15-54 years, and men still take their lives at a rate three times that of women. And the figures also show rates have never been higher for women aged 45-54 years. Indigenous people died by suicide at more than double the rate of non-indigenous people across all age groups. In Queensland, mental health authorities are trying to work out why the state has the highest rates of suicide in the nation. The Queensland Mental Health Commission’s first report on the state’s mental health and wellbeing released last December, revealed that around 14 people in every 100,000 in Queensland take their own life, well above the national average of around 11. Queensland Mental Health Commissioner Dr Lesley van Schoubroeck told ABC radio when the report was released that “inclusiveness” appeared to be one contributing factor. “… There’s a perception amongst people that if you have a mental health or drug and alcohol problem you do not feel included,” she said. SANE Australia chief executive officer Jack Heath said while Australia as a whole had made real advances in reducing stigma around mild-to moderate mental health conditions, there was a huge amount of work to be done to help those at the more severe end of the spectrum.